Family Member or Friend Arrested at the Palm Beach County Jail in Florida? Bookmark this page! 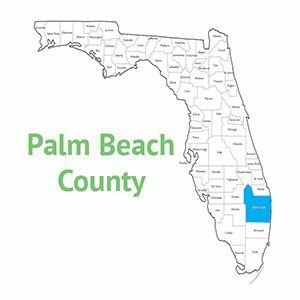 Everything you need to know about getting arrested in Palm Beach County can be found here. Quickly find and access real-time Arrest and Case information through the links below. The Palm Beach County Main Detention Center has an average inmate population of 1769 inmates. The Main Detention Center is located at the Sheriff’s Headquarters Complex on Gun Club Road in West Palm Beach, Florida. The South Tower can house 1,285 inmates, the East Tower 418, and the West Tower 404. The inmate population is primarily comprised of pre-trial, un-sentenced adult males. Also housed in the Main Detention Center are adult female pre-first appearance inmates, adult female inmates who require special medical and/or mental health care. Female juveniles are also housed in this facility. The twelfth floor of the South Tower is used exclusively for housing male juveniles. The largest of the four Palm Beach County Sheriff’s Office correctional facilities, the Main Detention Center has the greatest security capabilities and is used to house high-risk inmates, federal inmates, inmates who are in need of special medical and/or mental health care and also those inmates who cannot function at any other facility. What is Petit Theft (Misd)?